Completion of this application will indicate that you have agreed to the club's Waiver, Release, Covenant Not to Sue & Indemnity Agreement. All memberships are for 1 year from the date of final approval. 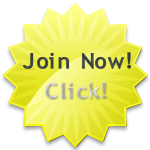 There are no fractional memberships (e.g. per month, day, session, hour etc.). Applications will not receive final approval until full payment has been received. *A Junior must be under 18 as of Sep 1. **A Student must be currently enrolled full time in an accredited provincial institution. A "Family" is defined as 2 Parents and 2 Junior children or 1 Parent and 3 Junior children. Step 1: Select your level and click "Next"
You will immediately receive an email confirming that your application is under review and then another email when your application has been approved. Payment may be made by cash, cheque (payable to ETTC), Visa, Mastercard or PayPal. A receipt of payment will be sent to the email address you submitted in your application. Our business name with PayPal is Edmonton Table Tennis Club. If you select a Family Membership you will be able to add members once payment is received and your application has been approved.